PERPLEXED travellers are posting pictures of chaotic scenes at Sydney Airport this morning after low-lying fog caused delays for hundreds of customers. Passengers complained of facing massive queues at the Virgin Australia check-in desk early this morning with queues of passengers stretched to the footpaths outside the terminal. Pictures, posted on social media by disgruntled passengers, show the terminal crowded with hundreds of people. Virgin made several announcements to customers waiting at the domestic terminal and said the delays were due it being the busiest day of the year with "over 10,000 passengers". One airport announcement asked disgruntled travelers not to "berate our staff while we work through this difficult time". 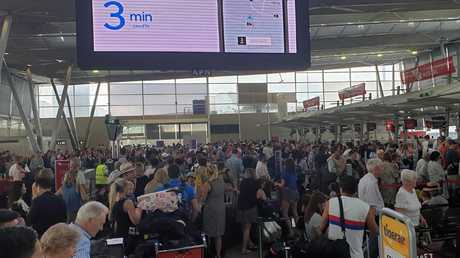 "We are experiencing longer than normal queues due to weather," Virgin Australia tweeted. "We are working to have guests on their way as soon as possible." 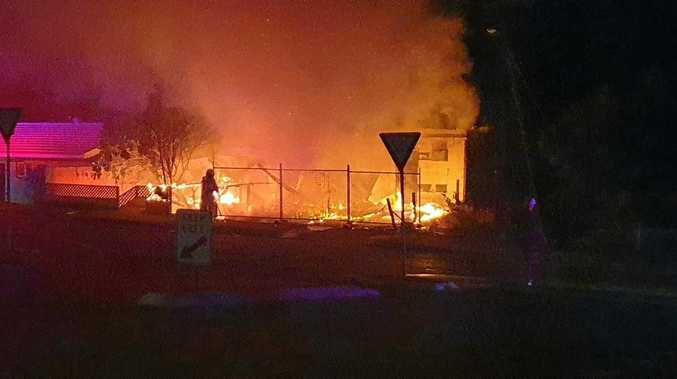 Despite the chaotic scenes, a Sydney Airport spokesman told news.com.au that fog had caused delays to just a small number of flights around 7.15-7.30am. It's believed passengers experienced delays of around 30 minutes, however services are understood to be back to normal. Despite this, the day after New Year's Day is already exceptionally busy for the bustling transport hub, which could be why the terminals still appear to be overcrowded.